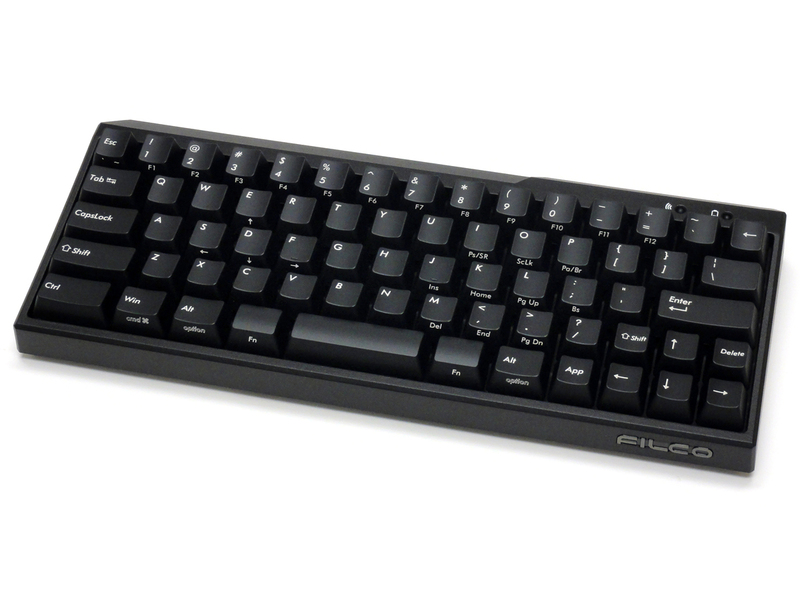 Finely crafted frames for your favorite Filco keyboard. 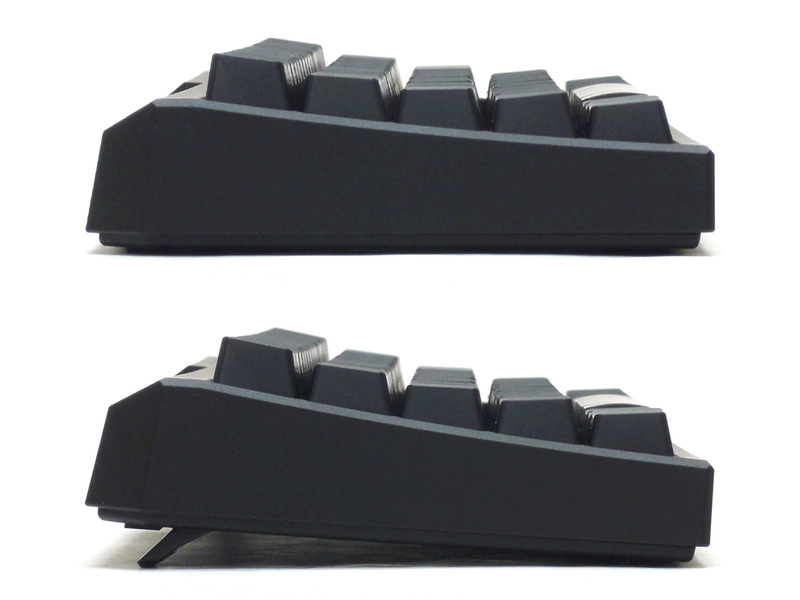 The world's first double function keyboard! 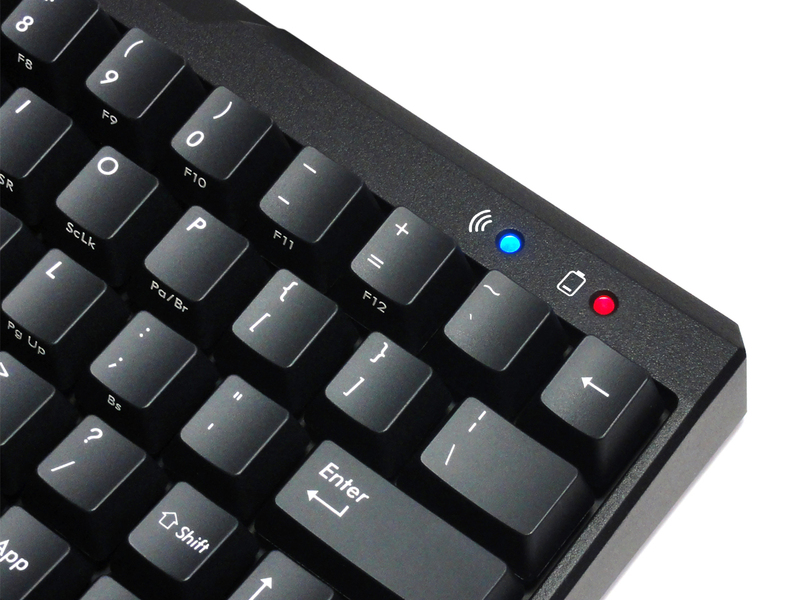 The Majestouch MINILA is the Mini layout version of Majestouch and we've made it as compact as possible by sharing Function keys with other keys. It has the same key pitch as our famous Majestouch keyboards. 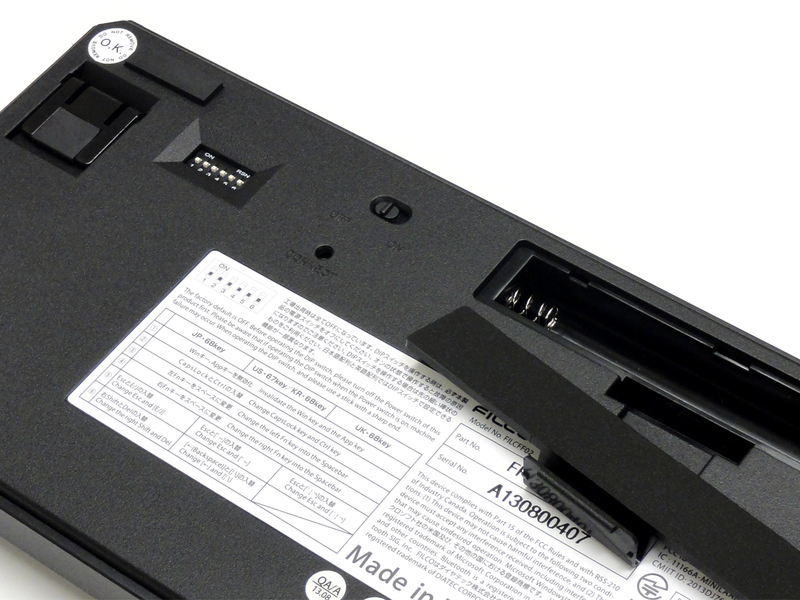 The most striking feature of MINILA is the "Double Function keys" located each side of the spacebar. 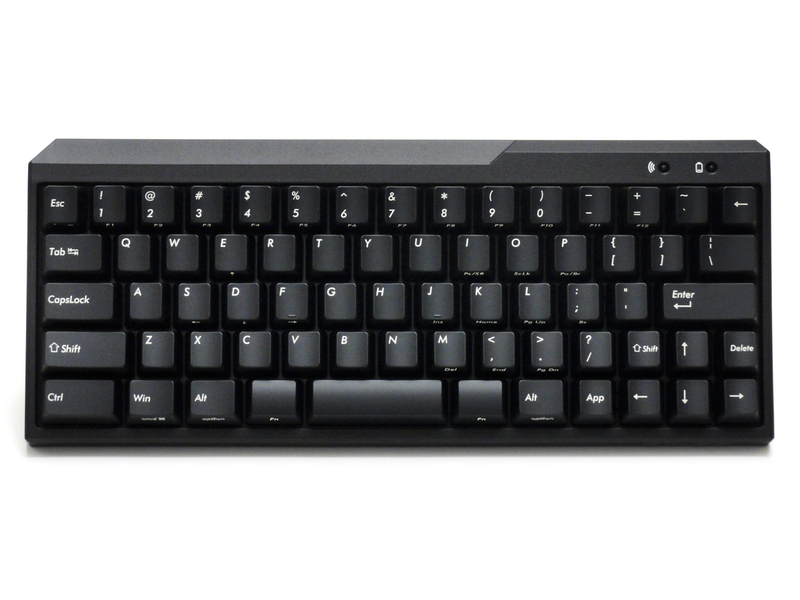 We focused on a less frequently used finger, the thumb, and let it work with Function keys. Just keep your thumbs busy and you get a lot of work done much easier than a normal keyboard! You can use whichever thumb you want. 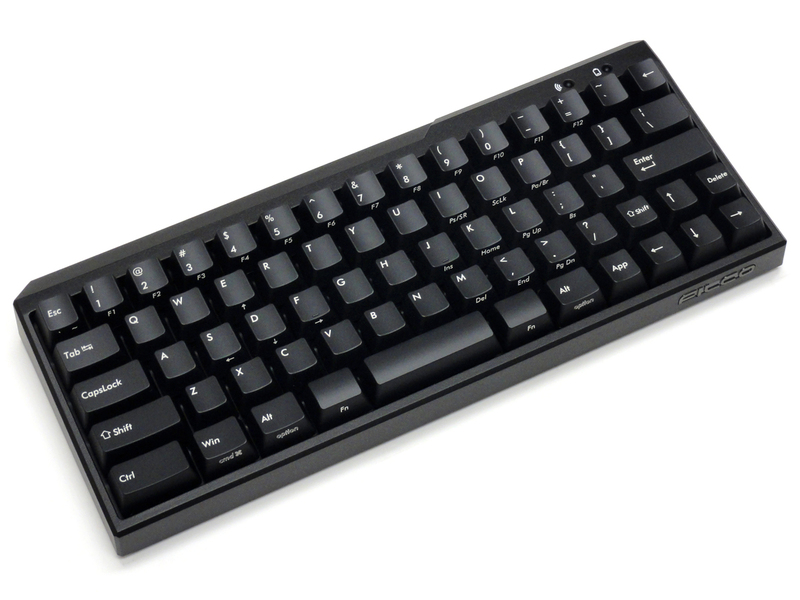 This keyboard can work well for anybody! Professionals, intermediate or even beginner class! Once you get used to typing on MINILA, you will not want to go back typing on normal keyboards! It can be paired with Bluetooth equipped products up to three devices! 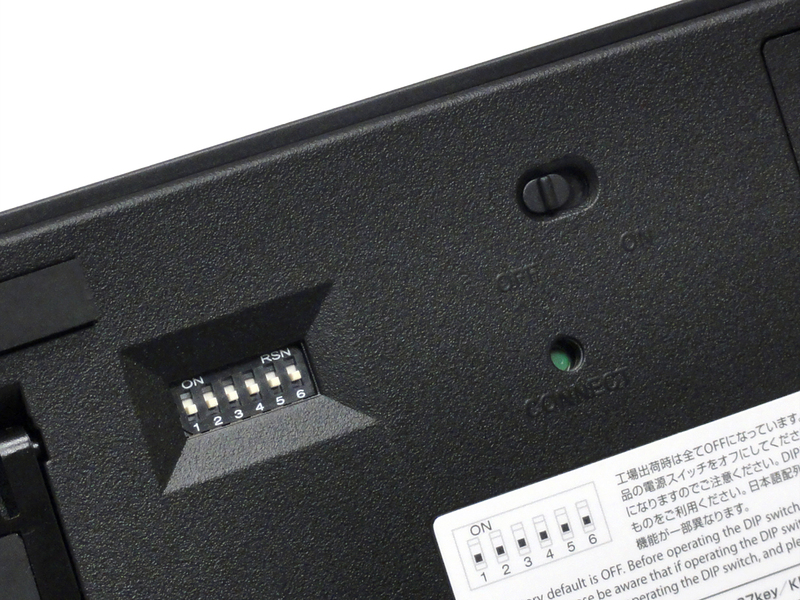 After completing paring setup state, it automatically searches and connects to the Bluetooth (powered on) devices within 10 meters from the keyboard. A priority order for this automatic connecting function depends on the order of the device used. The older device you used get a higher priority. ** Multiple pairing defines the function which can store several pairing setup information on a device. The batteries last approximately for six months if used five hours a day with Alkaline batteries. (This is the internal screening verification results) The service life depends on a working environment. 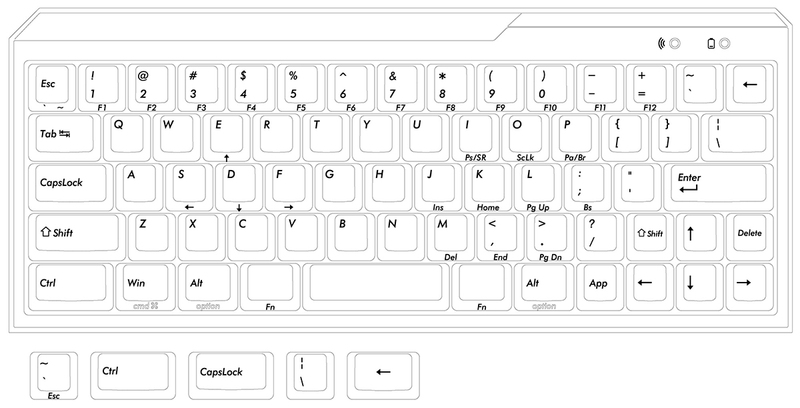 Hollowed font of "cmd" and "option" are printed on the front side of Win and Alt keycaps to facilitate connection with iPad/iPhone and iOS devices. Dimensions 11.70" x 4.90" x 1.60"